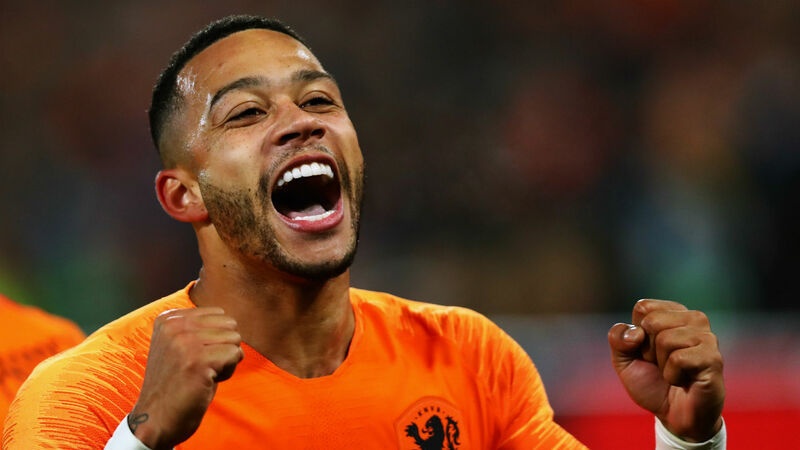 Ronald Koeman accused Netherlands of a "careless" display despite beating Belarus 4-0 in their opening Euro 2020 qualifier, though he was impressed with Memphis Depay. Netherlands had no issues seeing off their visitors in Rotterdam, taking just 50 seconds to take the lead when Depay seized upon a defensive error before tucking away from a tight angle. Depay then set up Georginio Wijnaldum, before dispatching a penalty that had been won by the Liverpool midfielder. Wijnaldum's Reds team-mate Virgil van Dijk completed the scoring in the Group C fixture when turning in Depay's ball across the face of goal, but Koeman was not entirely happy with the performance, particularly between going 2-0 up in the 21st minute and half-time. "We were careless," Koeman told NOS. "I thought it was nonchalant. I saw more backheels than I have seen here in years. But in the final phase of the first half and in the second half it went well again. "But after going 1-0 up, you have to play disciplined. We apparently do not control that yet. We even blocked some shots in our own area. "Going 1-0 up early was the ideal scenario, but then you have to play like we did in the second half. "You should not think: 'It's 2-0, we will easily win this.' That also has to do with the development of this team." Koeman did reserve praise for Depay, however, who continues to impress at international level despite enduring a rather underwhelming season with Lyon. "I say it every time, he is a great player," Koeman said. "He may be going through a lesser phase at his club, but if he feels free and has confidence, he can do a lot. "Memphis is a very important player for us, he has proven that in this competition."